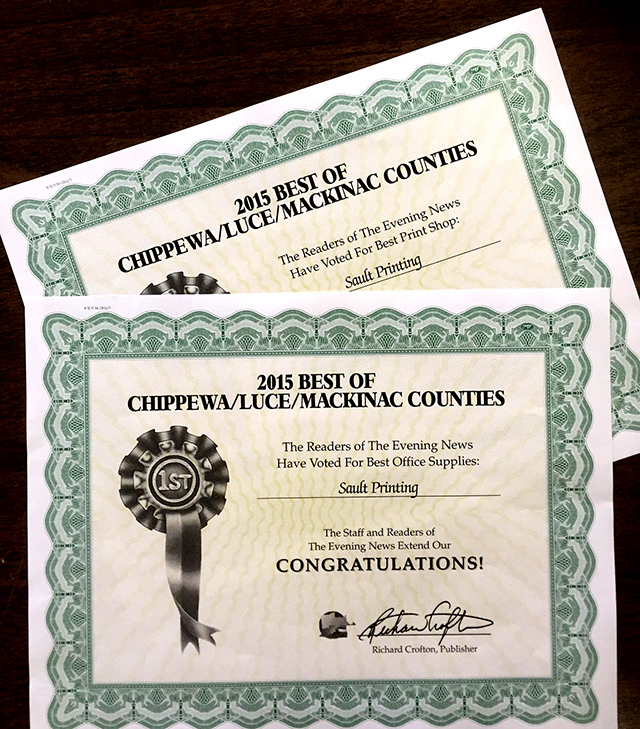 Awards | Sault Printing Co.
We are pleased to announce that we received numerous awards this year for the Chippewa County' Best of the Best. Here are the two most prestigious ones we received. Thank you again for everyone who voted and we look forward to continuing to be the best print shop and office supply store in the Eastern U.P.